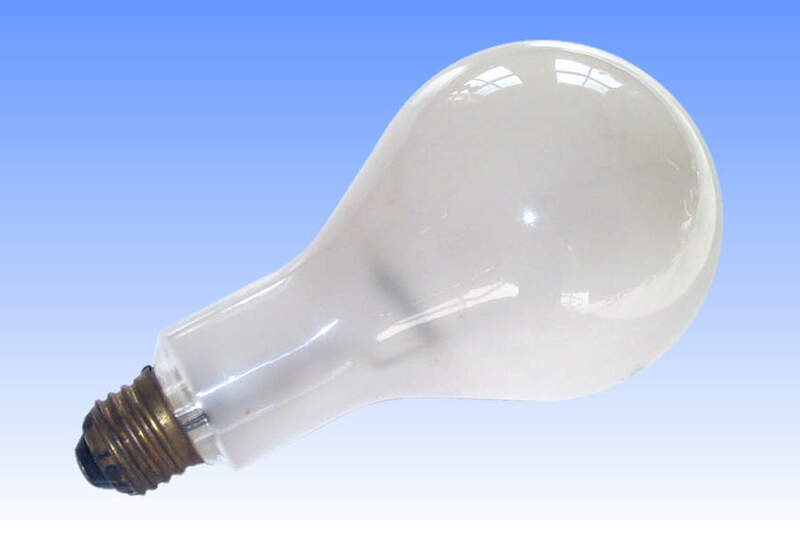 Although mercury discharge lamps brought with them the virtue of considerably greater luminous efficacy than the filament lamps they replaced, their poor colour rendering properties excluded them from many applications. The light of the earliest lamps was distinctly greenish with only 1% of the radiation being in the red part of the spectrum. 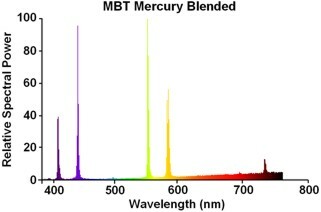 The high pressure quartz MB lamps which superseded the MA glass styles had marginally better colour properties on account of the higher pressure discharge. The light of these lamps was more of a blueish-white colour, but still with only 2% red ratio. Before the advent of phosphors and other techniques for colour correction, lamps were fabricated with a tungsten filament inside the outer envelope, the continuous emission of the filament bringing the red ratio to about 8%, a great improvement (but still far from the 25% of filament lamps). A further advantage was that by connecting the filament in series with the arc tube, the positive characteristic of the former acted as a ballast to control the current to the arc tube and no auxiliary control gear was required. Philips was first to propose such a design, and following the release of the so-called mercury blended lamp in 1937, Siemens was the first UK firm to commence production of this lamp. Siemens later developed a unique series of self-ballasted MAT lamps in the higher wattages. The MBT style illustrated here was made by Siemens for most of the major British brands, and this earliest design employs a completely hand-made arc tube. The outer bulb is in the 'pearl' finish to ensure thorough mixing of the light from each component. Manufacturer: Siemens Edison Swan Ltd.